Enlarge View 1058 images in sequence. Contains a biography of Shāhjahān from his birth through the first 10 years of his reign by Qazvīnī. This work is followed by the second and third parts of Muḥammad Ṣāliḥ Kambūh's ʻAmāl-i Ṣāliḥ's history, starting with the 11th year of Shāhjahān's reign and including the wars of succession and his death. Cf, the similar composite manuscript ms. no. 566 in Bankipore, Bengal. Oriental Public Library. Catalogue of the Arabic and Persian manuscripts, v. 7 (Patna, 1921). Muḥammad Amīn ibn Abī al-Ḥusayn Qazvīnī, active 17th century. - Scribe is possibly Aqā Muḥammad Muqīm or one of his sons Sayyed Ali Khān ("Jewel Pen") or Muḥammad Jaʻfar (Kifāyat Khān). Cf. Muqīm's name at second colophon. - Place of writing most likely Northern India. - Paper; text within ornamental gold borders. - 29 paintings including some full page, some double page. - 1 shamsa (title page), 2 sarlawhs, 2 colophons, and 2 appendixes. - Appendix includes poetry by Sayyed Ali Gilānī. - Contemporary oriental leather binding. - Gift of Lessing J. Rosenwald; sold at auction, Sotheby's London, December 12-13, 1929, lot 183, "Property of a Lady." Muḥammad Amīn Ibn Abī Al-Ḥusayn Qazvīnī, Active 17Th Century, Muḥammad Muqīm, -1674? Muḥammad Ṣāliḥ Kambūh, and Lessing J. Rosenwald Collection. Pādishāhnāmah . [Late 17th or early 18th century?, 1650] Manuscript/Mixed Material. https://0-www.loc.gov.oasys.lib.oxy.edu/item/50045639/. Muḥammad Amīn Ibn Abī Al-Ḥusayn Qazvīnī, A. 1. C., Muqīm, M., Muḥammad Ṣāliḥ Kambūh, -. & Lessing J. Rosenwald Collection. (1650) Pādishāhnāmah . [Late 17th or early 18th century?] [Manuscript/Mixed Material] Retrieved from the Library of Congress, https://0-www.loc.gov.oasys.lib.oxy.edu/item/50045639/. Muḥammad Amīn Ibn Abī Al-Ḥusayn Qazvīnī, Active 17Th Century, et al. Pādishāhnāmah . [Late 17th or early 18th century?, 1650] Manuscript/Mixed Material. Retrieved from the Library of Congress, <www.loc.gov/item/50045639/>. شاه جهان. | Shāh Jahān Biography of the Mogul Emperor Shahjahan. علامكيرنامه. History of the first ten years ofAurangzeb. 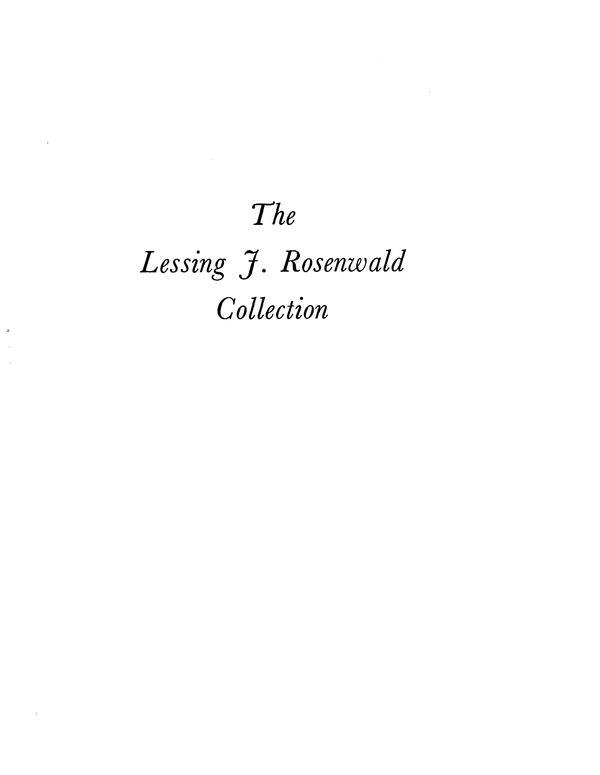 The Lessing J. Rosenwald collection : a catalog of the gifts of Lessing J. Rosenwald to ... Includes indexes. Also available in digital form on the Library of Congress Web site.